What's new in sustainable textiles? In today's Newsletter, "Sustainability & Textiles", Texpertise Network will be telling you inter alia about innovative vegetable-tanning processes, new shops, and the latest studies and campaigns. 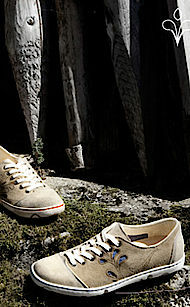 Sustainable shoes are the main topic. With 40 international events, Texpertise Network is the world's largest network of experts in textiles and clothing for trade fairs and the industry. Sustainability is a topic which is becoming increasingly important, and the market for environmentally and socially responsible textiles is growing. Vegetable-tanned leather, natural fibres from organic cultivation, and cradle-to-cradle shoes – where does the shoe industry stand when it comes to sustainability? While there are numerous certificates for textiles, more and more eco fashion labels are coming on the market, and new concepts are being developed in the retail trade, when it comes to shoes, things don't seem so good, at least not at first sight. But if you take a closer view, some things are happening. An overview of the market for sustainable shoes, by Jana Kern. Stefanie Stolitzka has received an award by the ESMOD jury for her brand of trainers, "Vios – the natural way." Stefanie Stolitzka has succeeded in winning one of the much-sought-after exhibition spots in the GREENshowroom at the 2013 Fashion Week with "Vios – the natural way." As her final-examination work for the "Sustainability in Fashion" course at ESMOD Berlin, the 26-yer old developed a collection of training shoes made completely of sustainable materials and completely biodegradable. A new process for vegetable tanning: wet green from olive leaves. 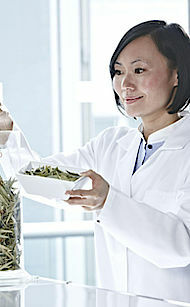 N-ZymeBioTex has developed a new process, in which extract of olive leaves is used as a tanning material. For this invention the Darmstadt company received an award from the "Land of Ideas" initiative. Only a few months after the first DearGoods shop, the second DearGoods shop opened at the end of October. And a third is already scheduled for the end of November. 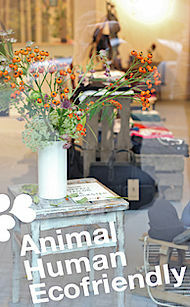 DearGoods – the name stands for products manufactured in an animal-friendly and environmentally-friendly way. They have been on sale by Nicole Noli since 2012 in her shop in Munich's Balderstrasse. Only a few months later the managing director of DearGoods opened a further shop. This time in Berlin. A third is already on the starting blocks for the end of November. It will feature not only the more unusual fashion brands such as Treches, Rebello and A Question Of, but also lifestyle products such as handbags, candles and interior fragrances. Have you cottoned on yet? This is the provocative question used by the Soil Association and the Global Organic Textile Standard (GOTS) in their world-wide organic-cotton campaign. 80 percent of the world's cotton production comes currently from genetically modified plants. In 2010 pesticides to a value of over 3 billion US Dollars were used in conventional cotton growing. Scarcely anyone knows that. 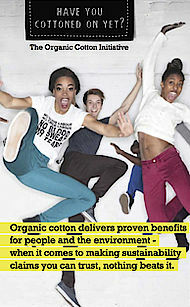 Which is why in October these two initiatives, GOTS and the Soil Association, launched the world-wide organic-cotton campaign: "Have you cottoned on yet?" In its latest Organic Cotton Market Report, Textile Exchange registers a growth in sales, and at the same time a decline in production. 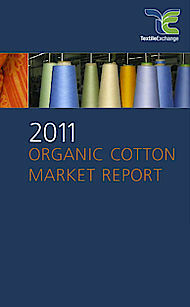 The sixth Organic Cotton Market Report, published by Textile Exchange, has made a few people rub their eyes. Thus the Report registers a dramatic collapse in global organic-cotton production, but at the same time reports a significant rise in the market's sales revenue. And the positive forecasts given by the brands surveyed also give cause for confidence that organic-cotton products will account in future for a larger share in product ranges. More exhibitors in the Green Directory, new young-recruits prize for upcycling, and talks on every aspect of sustainability in the hotel industry. 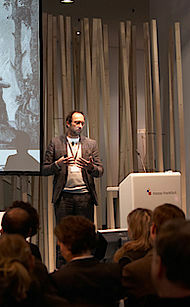 Heimtextil, the international trade fair for home and contract textiles (9 to 12 January 2013), will be focusing once again on the subject of sustainability. The number of exhibitors featuring green products has risen slightly. Thus the Green Directory, the list of exhibitors for sustainable textiles, has 128 entries. On the second day of the fair interior furnishers for hotels and contract-business experts will discuss sustainability in the hotel industry as part of the "Let's talk about..." series. And a new prize for young recruits to the industry has been launched, the Young Creations Award, devoted to the principle of sustainability. 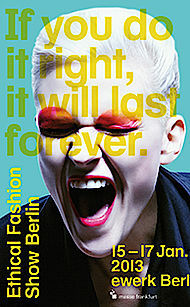 In mid-January the eco-fashion scene will be meeting again in Berlin. The GREENshowroom and the Berlin Ethical Fashion Show will form the centre of green and fair fashion. Urban street and casual wear at E-Werk, stylish luxury at the Hotel Adlon Kempinski – the Berlin Ethical Fashion Show and the GREENshowroom (15 to 17 January 2013) will once again be presenting a comprehensive range of sustainable fashion during Berlin Fashion Week. While the two exhibition halls at E-Werk are already fully booked, the GREENshowroom at the Hotel Adlon Kempinski will be providing a select choice of eco-fashion brands, uniting design, luxury and the contemporary mind. Texpertise Network asks eco fashion insiders about the latest developments in the market. In a short interview Marci Zaroff, eco fashion pioneer in the US, outlines her personal green revolution in the textile industry, ground-breaking developments such as the Higg Index and upcoming steps in the industry. Texpertise recommendation: in its new study, "Chemicals for all Weathers", Greenpeace analyses outdoor clothing for toxic perfluorated compounds. Outdoor clothing has long been everyday clothing. But what chemicals will be found in such clothing, designed to make jackets and trousers wind and waterproof? In a study, Greenpeace has had 14 outdoor jackets and trousers from various manufacturers tested for toxic perfluorated compounds.